Over the winter I came up with the idea of posting a Tout Wars Leaderboard at toutwars.com. The idea would be to assign an entry fee for each team, and then award prizes at the end of the season reflecting the payout, based on the number of teams in the league (since we have 12 in AL, 13 in NL, and have had anywhere from 12 to 17 in the Mixed league). One sensitive issue was the prevailing ethos when the first 12 years of Tout Wars were played, which said that, “Second place is first loser.” I know that there were times when, dealt a tough hand, I made the high-risk high-reward (if only) trade rather than grind into battle for fourth place, the way I would have if there was money at stake. I’m certain others played this way, too, so these retroactive results are imposed from above. They don’t reflect how behavior might have been changed if this way of measuring was known when the games were played. In spite of this limitation, I forged forward. Choosing a $100 entry fee was easy. It’s round, easy to average, like an index. Done. Deciding how to pay out fairly was more complicated. I’m not going to go into all the round and around I did, but I decided to pay out to the top 33 percent of the teams in each league. In 12 and 13 team leagues this means the top four teams are paid. In 14-16 team leagues five teams are paid. In 17-19 team leagues 6 teams are paid. This seemed in keeping with the original roto rules of Top 4 being paid in a 12 team league. Sweet. 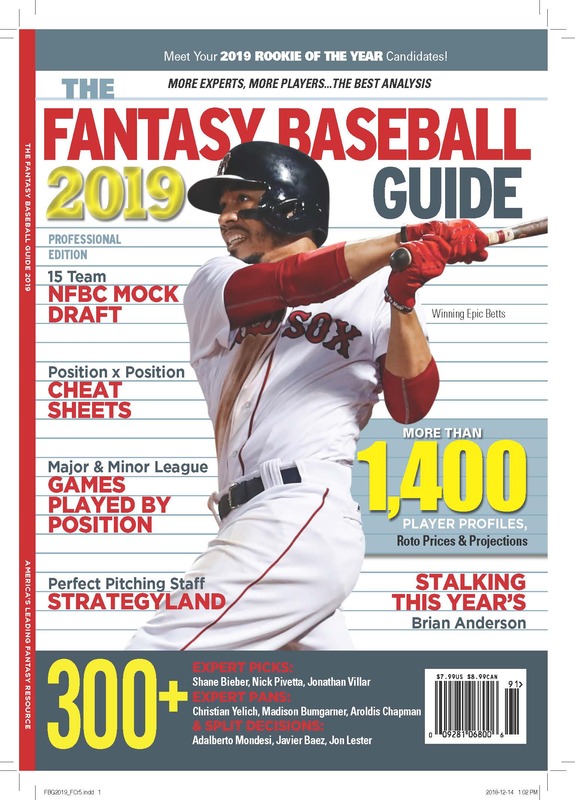 The same process was used in the larger leagues, all of which–I think–does a fairly good job of representing the value we take away from our standard roto leagues, which were the models for Tout Wars. But this isn’t the only way to do this. I’ve played (and play) in leagues with a more graduated payout. That is, last place may get nothing, and each place up the standings earns a little something more than the one below it. This is more like the way real baseball works. It isn’t all or nothing between fourth and fifth, but a graduated scale reflecting success in winning and managing costs. It would certainly be instructive if we could see the profil/loss statements for the actual teams in addition to the won/lost records. A graduated payout changes the way teams play, since there isn’t the same desperation to get into the money, but there is incentive to win more money. I’ve played in leagues with no salary cap, where you could spend as much or as little as you wanted (and deemed prudent), in order to win a percentage of the pool. This, I found, turned out to be less interesting than (I think, because we never got that game together) )if we’d played for fixed amounts for first, second, third and fourth, with no salary cap, and any extra money that was spent was paid to those who finished fifth, sixth, seventh and so on, down to next to last. I’ve also played in winner take all games, and others that paid bonuses for rare events, like no-hitters and hitting for the cycle, or allowed the roster to carry over into the post season, for a second pool. These payouts weren’t major enough to change regular season play, but if they were incentives might be skewed and teams might play differently. The point is that designing the payout structure of your league (which pertains even if you don’t play for actual money) reflects decisions you’re making about how you value winning, being the runner up, the importance of participation all season long, and a host of other things that make your game fun or more or less so. There isn’t a right or wrong way in the end, but whatever decisions you make will inevitably reflect the values you bring to the game and the value of winning (or not). That’s pretty darn interesting, if you ask me, and relates to whole lot of things we do outside of our fantasy sports pursuits.